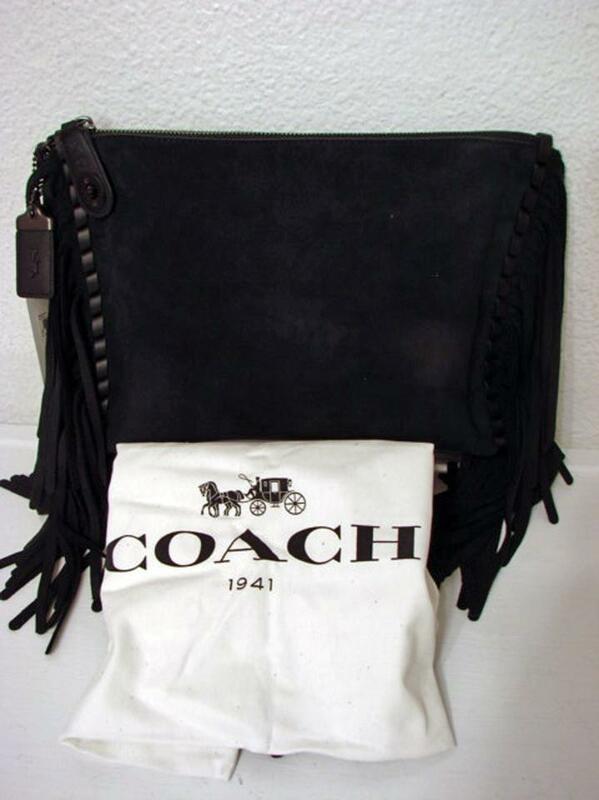 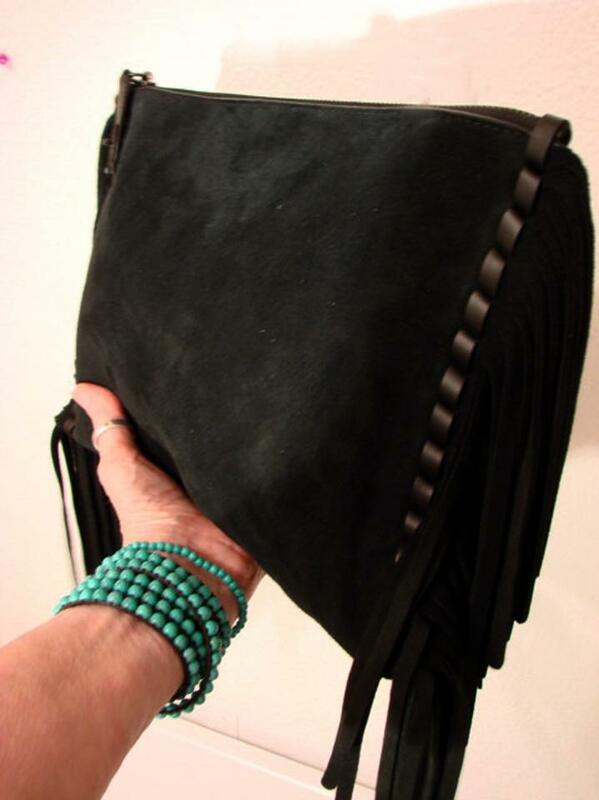 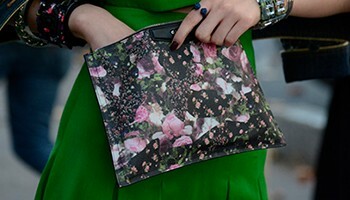 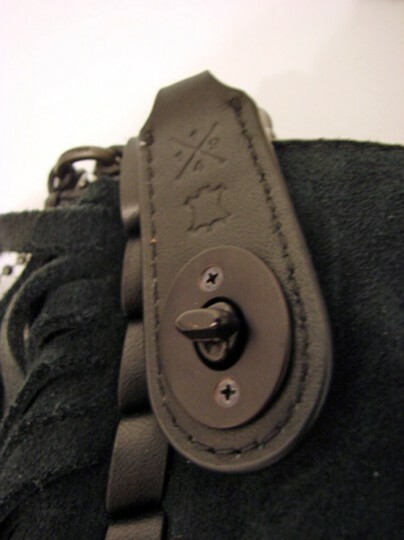 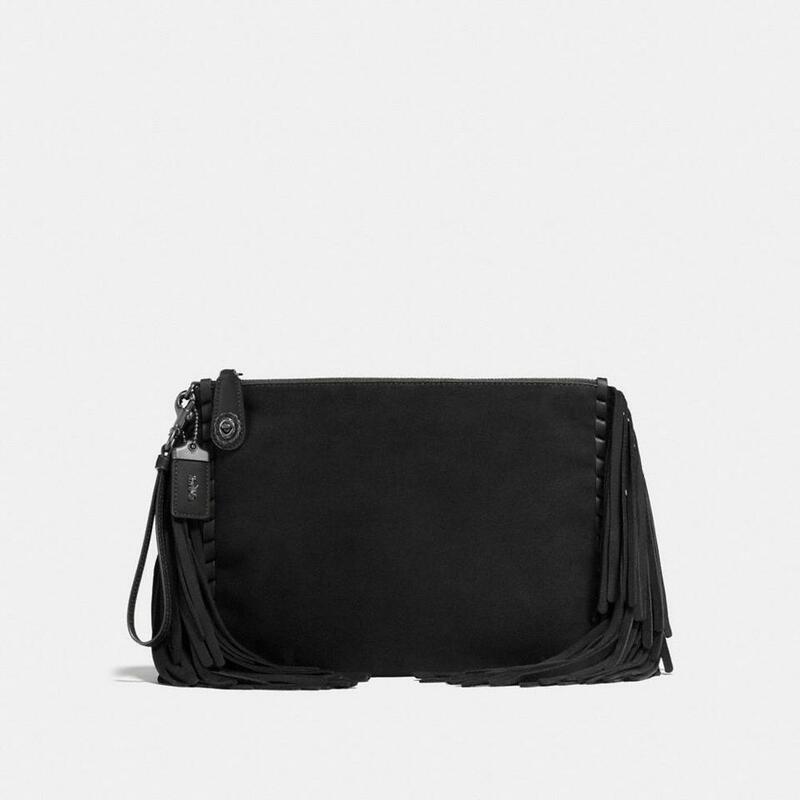 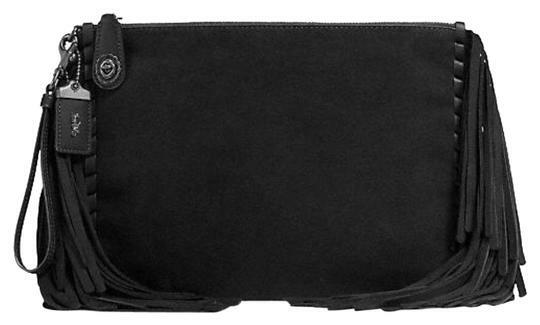 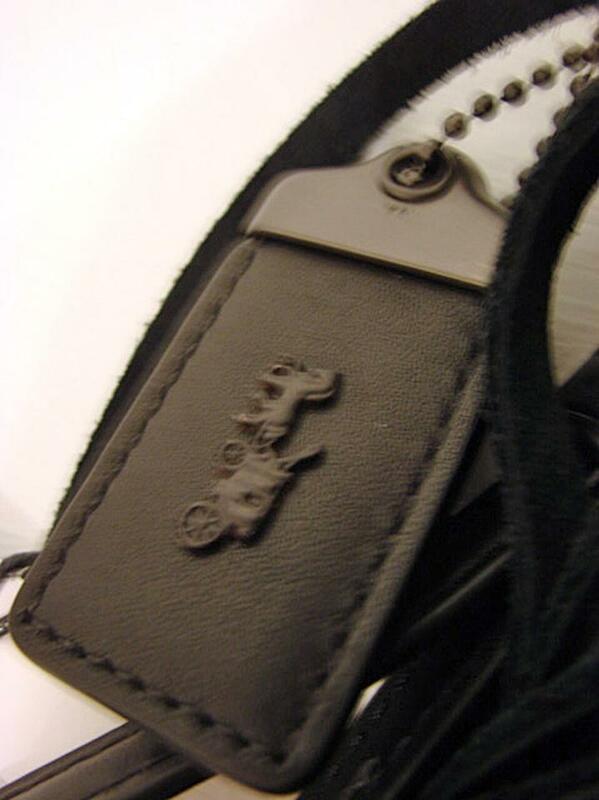 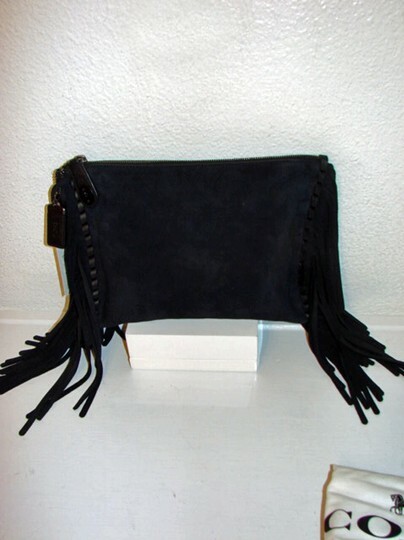 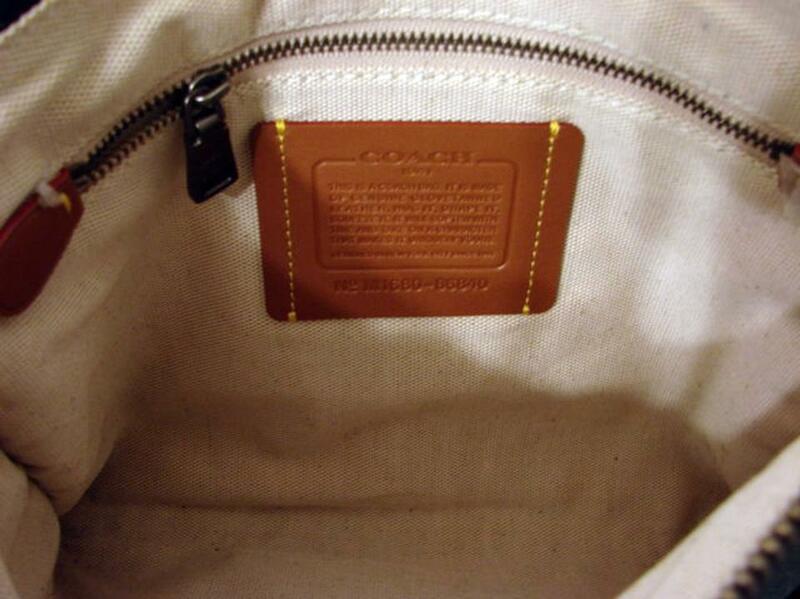 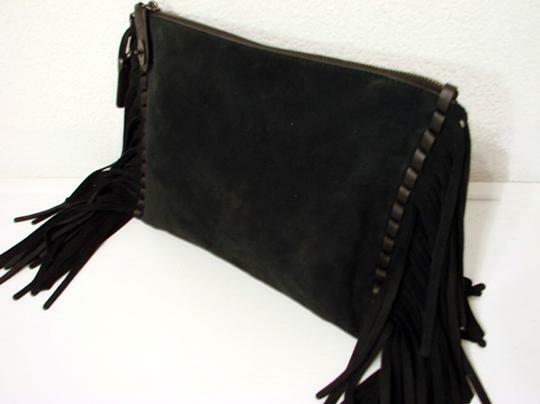 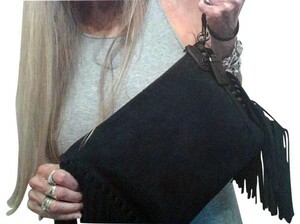 Brand new with tag attached and dustbag, Coach 1941 Turnlock Wristlet Clutch 30 in black suede w/fringe. Bold topstitching and swingy fringe add Western style to this spacious wristlet clutch, a fabric-lined silhouette large enough to fit an iPad (it's about the size of a sheet of notebook paper). 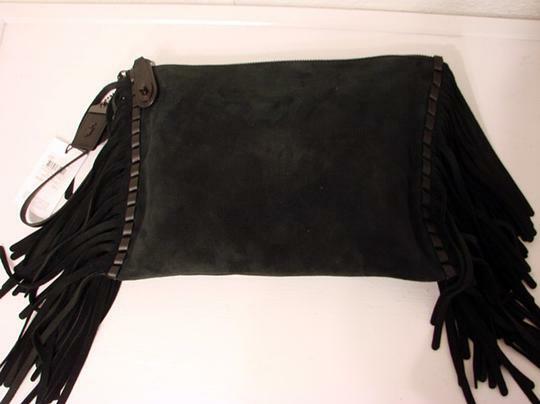 Crafted in soft suede, this versatile piece is secured with a Santa Fe-inspired concho turnlock.